The power of stories to tell us who we are is well known, so to lose touch with your people’s stories can lead to a void inside one’s self — or even within a community as a whole. 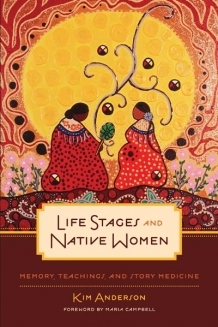 Sharing the teachings of 14 elders across three cultures, the book is a collection of cultural and lived understandings of the roles and responsibilities of Indigenous women and girls, from pregnancy and birth through to puberty to death. For those of you who may have missed its original airing, the interview is below. « Aboriginal language speakers: Canada’s spy agency wants you!